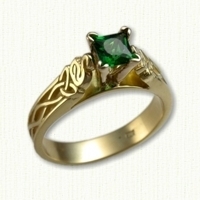 Karyn Celtic Engagement Ring - custom celtic engagement rings w/ gemstones, diamonds @ best prices! 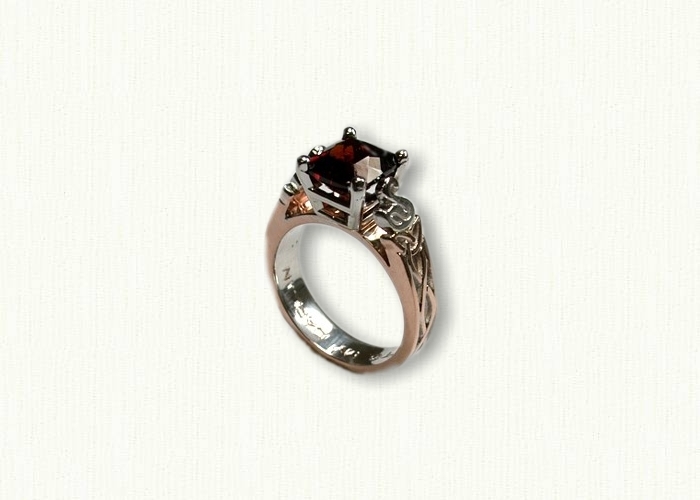 Description:#RR02361 The 'Karyn' is a 4mm wide Narrow Bridged mounting with two swans flanking the center stone. ONLY available in this width and pattern. Available in 14kt, 18kt and platinum ( pricing ). Optional finishes for 14kt and 18kt include 18kt yellow gold electroplate and white rhodium are at an additional fee. Visit our Available Diamonds and Gemstones page to view photos of in stock stones. 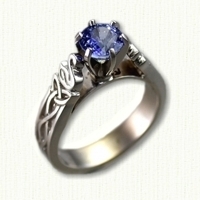 Recommended stone sizes run from .45ct to .80ct. 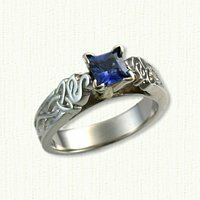 The appearance of your ring may be slightly different depending on finger size and choice of center stone. Matching Triangle Knot Wedding Bands and Two Strand Knot Bands sold separately.